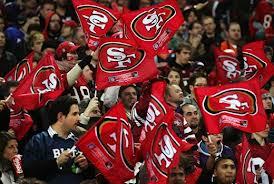 There will be no Super-Bowl Sunday bowl ban in San Francisco! Phew. San Francisco’s bartenders won’t be locking up the Jack Daniels afterall come Super-Bowl Sunday. Still, in the wake of the mayor uttering the dreaded “B” word, came an internet storm of stories relaying the inglorious news San Francisco was banning hard booze on Super Bowl Sunday. Yahoo listed San Francisco’s “booze ban” as one of its top Super Bowl-related searches.